Many people say to me you are so lucky to have such a wonderful job. I know I am lucky but it is also hard work and dedication that has helped me succeed, if only I could create wonderful jewellery all the time! Other business matters do take up quite a lot of time. In a few weeks I will be able to announce something that is taking huge amounts of my time and effort, which is very exciting and nerve racking but is allowing me to use my creative side. A little clue, I'm making lots of new pieces and stock! 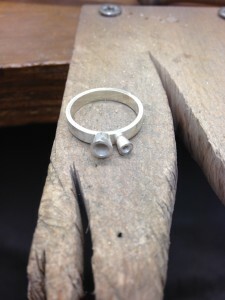 The past few weeks have been very busy in the gallery and workshop. 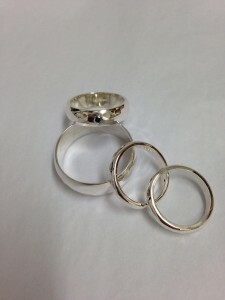 I have run a few wedding ring workshops and had many commissions for engagement rings. 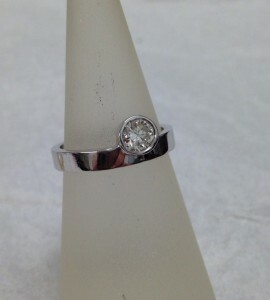 I've probably mentioned before that wedding and engagement rings are my favourite things to make, maybe this is my romantic side coming out. 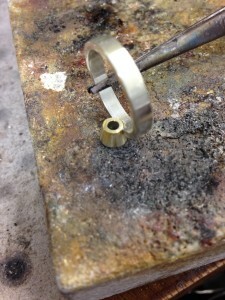 Here are a few examples with some pictures of the rings in process of being made. I hope you'll come back in a couple of weeks time for my announcement. Until then, back to the workbench. 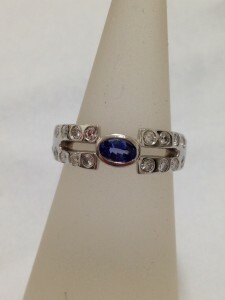 Platinum ring with a lovely tanzanite and diamonds from the customers grandmothers ring. 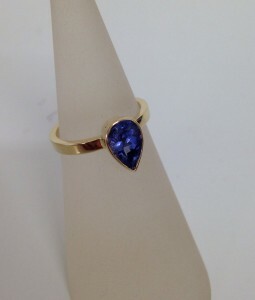 Gold ring using the customers sapphire.